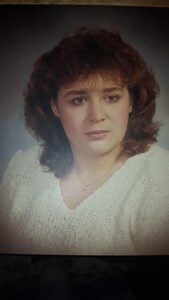 Latham- Shelly Ann Cavotta-Trifiletti-Roux, 52, passed away April 10th, 2019 surrounded by her family and loved ones. Shelly was born January 15th, 1967 as the daughter of Ted Cavotta and Patricia Barr. She attended and graduated from Shaker High School in 1985 with high honors. She worked for Schenectady County Public Health for the better part of her life helping others in the community. Shelly was known by her loved ones for always having an open heart for those in need. She was unconditionally loved by her children in every aspect of life. Her legacy will continue with her children Brittney Trifiletti (daughter), Katlin Trifiletti (daughter), James Trifiletti (son), Briana (step-daughter), Christopher (step-son), Nikki Chuley (niece), Ted Cavotta (father), Orin Barr (step-father), Kimberly DeVoe (sister) and grandson Kaiden Trifiletti. Shelly’s wake will be held Wednesday, April 17th, 2019 at New Comer Funeral Home, 181 Troy Schenectady Road, Watervliet, NY 12189 between the hours of 4:00pm to 7:00pm. Her funeral service will be private at the convenience of the family. Add your memories to the guest book of Shelly Cavotta-Trifiletti-Roux. Rest in peace, Shelly. You're with the Lord and he will always be with you. Thanks for looking out for Lorenzo all those years! I was always grateful.